Human trafficking is the recruitment and transport of a child or adult for the purposes of sexual exploitation or forced labor. Sadly, there are more people enslaved today than at the height of the trans-Atlantic slave trade. The Trafficking Victims Protection Act was first passed in the United States in 2000 and is the largest piece of anti-trafficking legislation in U.S. history. It created the first comprehensive federal law to address human trafficking and other forms of modern-day slavery, targeting both domestic and international aspects of the crime. The act uses a three-pronged approach to combat trafficking: prevention, protection, and prosecution. Because traffickers continually change their methods to skirt the law, legislation needs to be regularly updated. In particular, there is a critical need to expand federal criminal jurisdiction to cover trafficking offenses committed abroad. This means an offender can be tried in the United States whether or not the crime was committed in the United States. Meanwhile, World Vision has extensive programs to combat child trafficking and slavery in countries across the world — notably Myanmar, Thailand, Laos, Cambodia, Bangladesh, Romania, and Mozambique. It’s easy to feel overwhelmed by the issue of human trafficking, but we can take action. We can speak out and insist that our elected officials support effective legislation, such as the Trafficking Victims Protection Act, and we can support World Vision and other programs to end trafficking and care for survivors. Dear Lord, just as You helped Moses and Aaron as they spoke boldly to Pharaoh on behalf of the Hebrew slaves in Egypt, help us speak up for modern-day slaves around the world. Extreme poverty is at the root of the vast majority of trafficking around the world. 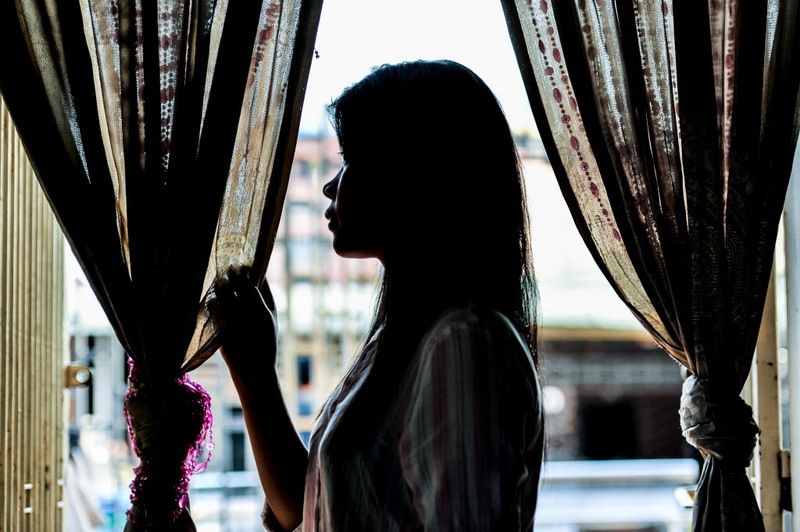 Poor families are vulnerable to the tactics of traffickers, who lure their victims with the promise of well-paying jobs in other cities or countries. Once isolated from their families, victims are forced to work for little or no pay and brutalized if they try to resist. One of the best ways to prevent human trafficking is to help families become self-sufficient. Dear Lord, most of us reading this email will never experience the kind of extreme poverty that millions of people live with every day. Help us to be understanding and compassionate toward their needs. Help us to love them in the way that You love them. Give us the will to make things better. Children who are rescued from traffickers need a safe place to recover from abuse. It’s common for their former captors to try to recover what they regard as their “property.” World Vision provides survivors with emergency shelter, legal assistance, and counseling. Dear Lord, You are a strong tower and a mighty fortress. Help Your rescued children feel safe and begin to heal. Protect them from those who seek to harm them. Survivors of human trafficking often suffer severe psychological damage. Their hearts and spirits have been assaulted as much as their bodies. They are ashamed of what has happened to them. World Vision homes provide a safe environment where children can recover and share happier times with other youngsters. They also receive vocational training so that they have the chance to become financially secure and make a fresh start. Dear Lord, Your Word shows that You bring new joy and hope where previously there was only shame and fear. We ask this for our brothers and sisters, who desperately need to accept that they can be made new. The men and women who prey on the poor and the innocent need to be arrested, prosecuted, and punished for their crimes. The International Justice Mission has found that even a small number of convictions can have a major impact in reducing trafficking crime. But prosecuting traffickers can be difficult because survivors are terrified to testify against them. Dear Lord, You demand justice for those who have been wronged. Give strength to those who investigate and prosecute traffickers. Encourage them when they are weary. Give courage to survivors when they are asked to testify against their former captors. Provide children affected by trafficking and exploitation with safe shelter, food, education, counseling, and more.